For the astronomical concept, see Meridian (astronomy). For other uses, see Meridian. 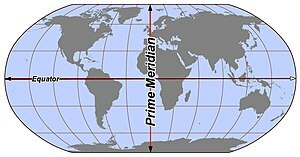 The meridian through Greenwich (inside Greenwich Park), England, called the Prime Meridian, was set at zero degrees of longitude, while other meridians were defined by the angle at the center of the earth between where it and the prime meridian cross the equator. As there are 360 degrees in a circle, the meridian on the opposite side of the earth from Greenwich, the antimeridian, forms the other half of a circle with the one through Greenwich, and is at 180° longitude near the International Date Line (with land mass and island deviations for boundary reasons). The meridians from West of Greenwich (0°) to the antimeridian (180°) define the Western Hemisphere and the meridians from East of Greenwich (0°) to the antimeridian (180°) define the Eastern Hemisphere. [unreliable source?] 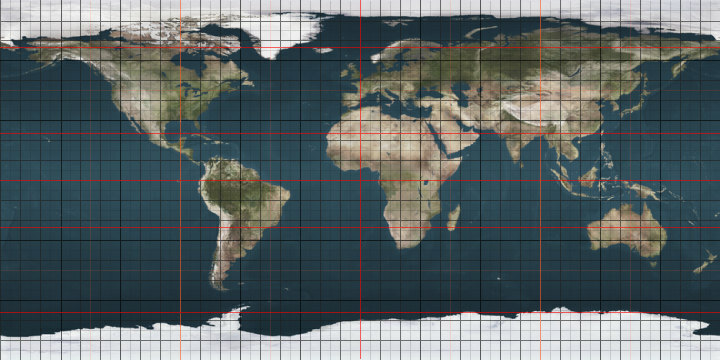 Most maps show the lines of longitude. The true meridian is the plane that passes through true north poles and true south poles at the spot of the observer. The difference between true meridian and magnetic meridian is that the true meridian is fixed while the magnetic meridian is formed through the movement of the needle. [unreliable source] True bearing is the horizontal angle between true meridian and a line. Wikimedia Commons has media related to Longitudes.